If your bathtub is unattractive and full of scratches, dents, or fading, we’ve got your affordable and convenient solution at Bath Planet! Our replacement bathtubs will instantly give your bathroom the vibrancy and beauty it deserves. Designed using high-gloss acrylic, our baths beauty gives you something to look forward to seeing during your routine bathroom trips. Plus, the non-porous acrylic material makes them extremely easy to clean. You deserve a beautiful bathtub whether you enjoy baths or not. Stop hiding your bathtub and start showing it off as your bathrooms new centerpiece. Our bathtubs are made using the highest quality materials so that your new tub is beautiful and lasts for years to come. Don’t let an unsightly or dated tub hold your bathroom back from being the attractive, serene, and spa-like retreat that you’ve always wanted. Instead, let Bath Planet offer you an affordable solution. 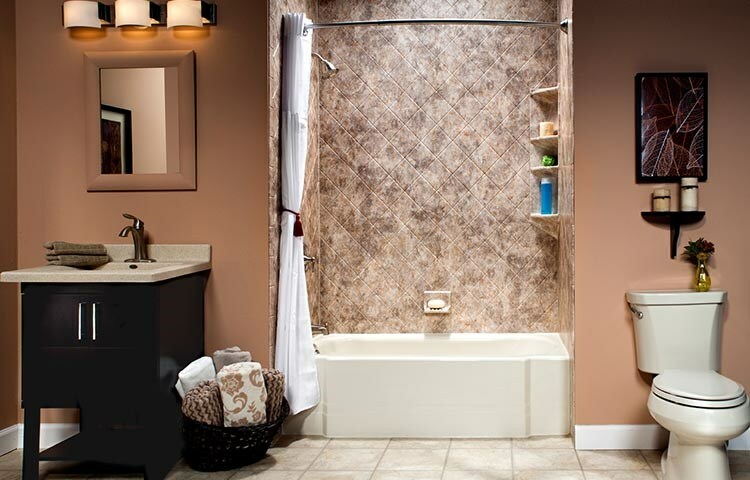 All of our bathroom remodeling solutions are of the highest quality you will find. Whether you need a replacement bathtub, bath liner, replacement shower base, or any other variation of a bathroom remodeling service, we have it. Our acrylic products are designed to be very easy to keep clean. The non-porous material and lack of grout lines reduces the need for hard scrubbing. All you need is just a simple wipe down with a damp cloth to make them sparkle. We know that you will absolutely love your bathroom’s new look, whether that’s accomplished with a new tub or shower is completely up to you. We just make sure to provide you with high-quality products and installations., which is why we confidently back with a limited lifetime manufacturer’s warranty. Our bathroom products are sure to satisfy your home’s needs. Coming in a variety of colors and patterns, our acrylics can give your bathroom the facelift it needs. To get started, contact us today for out of this world service from Bath Planet.